Limpopo Young Water Professionals resurfaces in style! Though YWP-ZA has been operating in Limpopo since 2013, it was only on Monday 10th October 2016, that the network officially launched its provincial chapter. The ceremony was preceded by the Enviropreneurs workshop, one of the national committee flagship events and took place at the Limpopo Economic Development, Environment and Tourism (LEDET) auditorium in Polokwane. The launch was attended by delegates from across public institutions in the water sector, academia, and private sector as well as national committee members. After a welcome address by the interim coordinator, national committee chair Nora Hanke opened activities for the day with a presentation about the network. 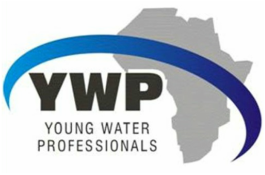 Limpopo province has now joined KwaZulu-Natal, Gauteng, North West, Western Cape, Eastern Cape, Northern Cape, Free State and Mpumalanga provinces in hosting this prestigious and vibrant community of young people passionate about water. This happens just three years after the Water Institute of Southern Africa (WISA) launched its Limpopo branch. The two keynote speakers, also young professionals were Dr Lawrence Diko (Department of Geosciences) and Dr Mabel Mphahlele (HoD; Department of Water and Sanitation)from the University of Limpopo. Dr Diko made emphasis on the role of young people involvement in rapid transformation of the water industry particularly in the province for sustainable management of water resources. He challenged certain practices with regards to the use of water in the country especially for Limpopo province which has been hit by severe droughts over the past few years. Reference was made to cases of wasteful use of water by residents during “spring day” where thousands of litres of water goes to waste during such celebrations. On the other hand, Dr Mabel Mphahlele focused more on the challenges and opportunities young people in the water sector can expect today in a changing global environment. She also highlighted some possible areas of partnership and collaborations that the newly created chapter can explore. This followed an interactive session with delegates, where a brief rundown of the previous activities of the interim committee was also reviewed among others and the future plans. It was agreed that formal elections for the provincial chapter will take place in May 2017. One of the key concerns was how to get all the higher education institutions and core water stakeholders in the water sector of the province to come on board. The event ended on a high note with a number of participating delegates expressing their interest in joining the interim committee and making the voice of young professionals in the water sector loud and clear. Members of the interim committee as of current are; Mr I. Arrey (committee coordinator), Ms. F. Mathivha (committee deputy-coordinator), Ms. V. Maiyana (committee secretary), Ms. M. Nethengwe (media coordinator), and Ms M. Machimana (Treasurer). Appointment for the next event was taken, YWP-ZA University of Venda Open Day on 31st October 2016.